Best version of a true classic. 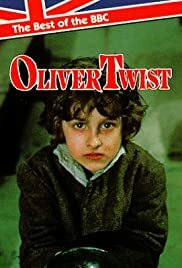 This version of Oliver Twist is by far and away the best. It manages to feature virtually all the characters major and minor which so many other versions fail to do. The 1948 version is great but this one trumps it. Godfrey James as Bumble carries off the role very well as does Eric Porter who is truly menacing as Fagin. Frank Middlemass as Brownlow is just how one would imagine that character. The two actors play Oliver was a master stroke of casting. I could watch this again and again for the acting alone and the brilliance of the set. Well done to all concerned. Other versions fall wide of the mark but this stays faithful to the story. Even Mrs. Corny is played to a tee by Miriam Margoyles.